Crystal chandeliers: not sure what they added to the evening really but I took a photo of them anyway… because that’s how the Randolph rolls! In Part 1 I covered the white wines available to try at the Oxford Wine Fair 2013. In Part 2 we’re looking at the red wines on offer. Walking in at the start of the evening I had high hopes for the Riojas from Spain and while they were superb if anything this tasting served to showcase the scope and potential of wines from elsewhere in Spain. Garnacha, or Grenache as most of world calls it, is known for being blended with other varieties to create soft weighty to blends like ‘Cote du Rhone’ from France. But that’s not all Grenache (Garnacha) can give you… if you’ve never tried an ‘Old Vine’ Grenache before, then you’re in for a treat when you do. This Garnacha starts off with the classic soft pastel black fruit aroma with a hint of vanilla… but there is nothing subtle about weight of this wine once you take a sip. This is a dense beast of a wine where the vanilla literally explodes on your taste buds, but thanks to pastel like quality of Garnacha (Grenache) and its low tannins, it still has mineral softness at play and that prevents this from becoming jammy or cloying. 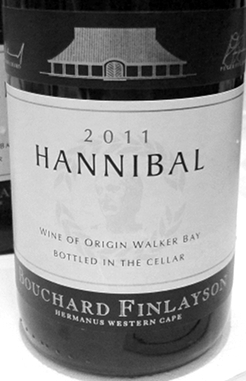 This wines intensity and depth of flavour, coupled with its long finish, is easily worth every penny. If you’re a fan big flavoursome wines or wines lower in tannin then give this a crack… especially is you like vanilla. The Riojas may have let me down but this wine from Priorat was so good it more than made up for them all by itself. This is a seriously powerful wine that practically demands roasted meat some variety to go with it. There’s an incredible intensity to its flavour that may surprise many of you but it’s so damn good you really should give it a try! It has a flinty slate like minerality to its toasty aroma that hints at the mature edge running throughout the body of this wine. On the palette there are serious tannins and rich black fruits that are so dark I hesitate to use the term ‘Fruit’ to describe them. There is a lot of chocolate here, the dark 80% coco, bitter chocolate that’s savoury without a hint of sweetness. Needless to say this wine has a huge finish on it and will keep you reaching for your next slice of flame grilled wild boar… Obelix style! Another amazing wine in the ‘dark and intense’ category was the ‘Gala 1’ flagship wine from Luigi Bosca. It’s a blend of 85% Malbec, 10% Petit Verdot and 5% Tannat, all of which can easily get out of hand unless handled properly. Luigi Bosca have done a fantastic job of maintaining the dark inky depth and intensity of the varieties, while managing to wrestle with the crazy tannins usually present in Tannat and integrate them well. It’s similar to the Priorat above in many of it characteristics but in each case a step or two more restrained and elegant. It’s also missing the bitter edge so if you found that the Priorat crossed the line for you then the Gala 1 may well be perfect alternative. This is technically a fine wine and a showcase for just how good Argentinean wines can be. Well worth it for the right occasion. No selection of red wines would be complete without at least some Italian wines on display, so I was happy to find one of the tables was largely dedicated to the Italians. In fairness to them, they were all so good I could have written about any of them here, but having just talked about two such dark intense wines I chose to go with the Chianti so I’d have a medium bodied wine to talk about. Well, in short, this was pretty much the perfect Chianti. If I said nothing else about this wine you’d know exactly you were in for… its like the best bits of all the Chiantis I’ve tasted rolled into one and balanced perfectly. It has the classic woody aroma and sour cherry palette that helps it match almost any dish you’d require it to. Is it worth its price tag? Hmmm… depends. If you like your Italian wines in general and love a drop of Chianti in particular, then absolutely, you’ll be over the moon with your purchase. But there’s no getting away from the fact that this is far more than you’d ever normally pay for the king of table wines. As good as it is, it’s a fine wine for its elegance rather than its lush complexity, and as such a tougher sell by far. With or without some dark chocolate, this is a rich but tightly controlled beauty of a wine. 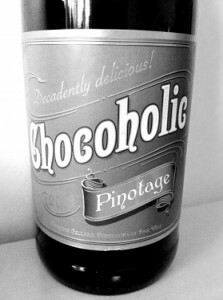 My vote for the ‘Single Variety’ wine of the evening goes to this Pinotage from South Africa. There were other incredible wines I could have chosen, such as the two white Burgundies mentioned above… but when I considered this wine is available under a tenner, it’s was hands down for me the best ‘single variety’ wine pound for pound of the evening. To start with I was surprised at how fruit forward this wine was as many of the Pinotage I’ve tried before tended to be heavily oaked. This wine is intensely fruity but it’s a soft rounded intensity, lush and smooth enough to bare witness to the quality of grapes going into the wine and skill of those crafting it. Perfectly balanced acidity helps to anchor this wine and control the power of all that concentrated fruit, allowing it impress without becoming jammy. Needless to say the finish is long and lingering in the best way possible. All that is well and good… but as the name suggests where this wine really starts to shine is when tasted with chocolate. I was only able to try the wine with dark chocolate and it may be that sweeter milkier chocolates may not work as well (they may strip too much sugar out of the wine)… I do know that it rocked my world and I’ll be spending a lot of time seeing which chocolate it goes with! Nom, Nom, Nom… and Nom! My vote for ‘Blended’ wine of the evening goes to this inventive beast of a wine, also from South Africa. In spite of its fine wine price tag, the creative choices made in what they’ve blended together and the fact that it worked to such a spectacular degree, makes this an easy recommendation for me. There are quite a few tried and tested blends out there, which account for 90% of what you’ll likely find in any given shop or supermarket… the remaining 10% tend to either be the odd inventive white wine or a wine where they simply refuse to admit what’s in it! Well here they’ve blended Shiraz (13% of the blend) and Pinot Noir (also 13%)… two grapes varieties I never thought I’d see together, but then I also wasn’t expecting to see three other grape varieties come from Italy! Although Shiraz is a dark heavy grape that usually makes powerful wines, there is enough of a balance in the rest of the blend to allow the more raspberry/strawberry natures of the Pinot Noir to show through. Sangiovese (51%) makes up the backbone of this blend and it brings with it the classic sour cherry Chianti quality that is backed up and enhanced by Nebbiolo (6%) and Barbera (4%). These two may be the smallest participants in the blend but their influence can clearly be felt in the increased tannin structure from the Nebbiolo and the darker almost Rioja like turn brought about by the Barbera. The last grape in the mixer is Mouvedre (13%) and this really combines with the Shiraz to add colour and depth/weight to the wine. Mouvedre has more purple fruit characteristics rather than the black of Shiraz and brings a chocolate quality that chimes with Barbera, linking the whole of this blend together. In short… awesome! It’s like they decided to make a South African Super Tuscan… but with far more creative choices in both their selection of Italian varieties and their choice of international ones. They do say there’s a fine line between insanity and genius… looking at the label I thought they were insane; sampling their wine I was faced with genius. Like the Meursault and Pouilly Fuisse above, this is a fine wine that leaves each and every penny you spend on it resting firmly in the glass and on your palette, rather than on some other, more nebulous, perception of worth. As such the quality of this wine doesn’t need any prior understanding to translate it… it’s simply and obviously an incredible wine. That’s a wrap for my write up of the Oxford Wine Fair 2013. I know It’s been a long article, so thank you for sticking with it! 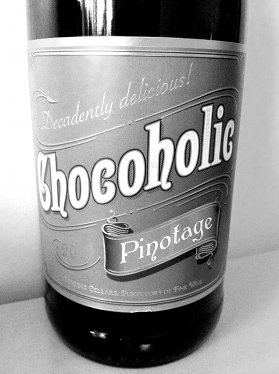 I’ll be putting together a follow up article around a chocolate tasting with the ‘Chocoholic Pinotage’… so look out for that in the not too distant future. 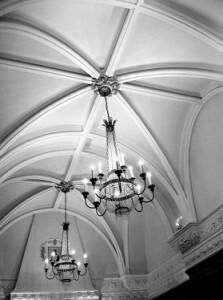 Please let me know what you thought and thanks again for reading.